This is a definitive symbol of Agadez, its people and the greater country of Niger. The original portions of the mosque have been standing since the 16th century, but editions have been added since the 19th century. 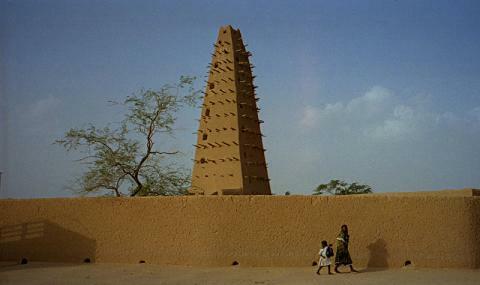 The mosque is visible from most areas of Agadez, so getting there should not be a problem. Climb the mosque for a few CFA. Remember to take of your shoes when entering and wear conservative clothing. Bring a camera to take pictures from the top--the view is astounding.